Praise be to God, for the work that has started and is continuing here by His Grace. God has been faithful in every aspect in taking this church forward. We have a strong emphasis on evangelism, discipleship & Missions through the preaching of the Finished Work, positional truth, and the message of Grace. Suresh Pallete has been a faithful team member for the past 3 years. Susarsan Kumar recently joined us to be on the team. The church is keeping true to the heritage that was delivered unto them, encouraging people to have an intimate walk with God, and teaching them to discern the kingdoms. Weekly activities include outreaches, home Bible studies, corporate prayer time alone with hearing edifying messages from Dr. Stevens, Baltimore pastors and Ps. Bryan Coelho in order to be connected to that certain sound. We have two Semesters of Bible College in a year, also weekly Bible studies for the Women. We also have translation of messages in Telugu and Hindi (Local languages) during our Sunday Service. That has opened the door for many people in the area to attend. 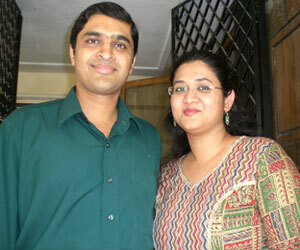 We are praying and believing God to have a Telugu service in the near future. -Ps. John & Savia Gago.